Getting cat urine out of carpet can be a daunting task. There are a variety of home remedies splashed around on the internet that claim their solution is the best. The key to this whole process is to figure out the method that is most likely to work. Cat urine can be a pungent troublesome problem to deal with. The problem with cat urine is it crystallizes onto the surface when the moisture evaporates. That characteristic alone makes getting cat urine out of carpet a real pain. The cat urine will soak through the carpet fibers on the top and run down into the backing and may spread out on the floor below. Obviously if you can prevent your cat from urinating on the carpet in the first place is the best solution. But in the event that the inevitable occurs we have found the most effective solution. Immediately pour hot water onto the cat urine to dilute and dry with a paper towel. The hot water will help to dilute the urine and minimize crystallization. 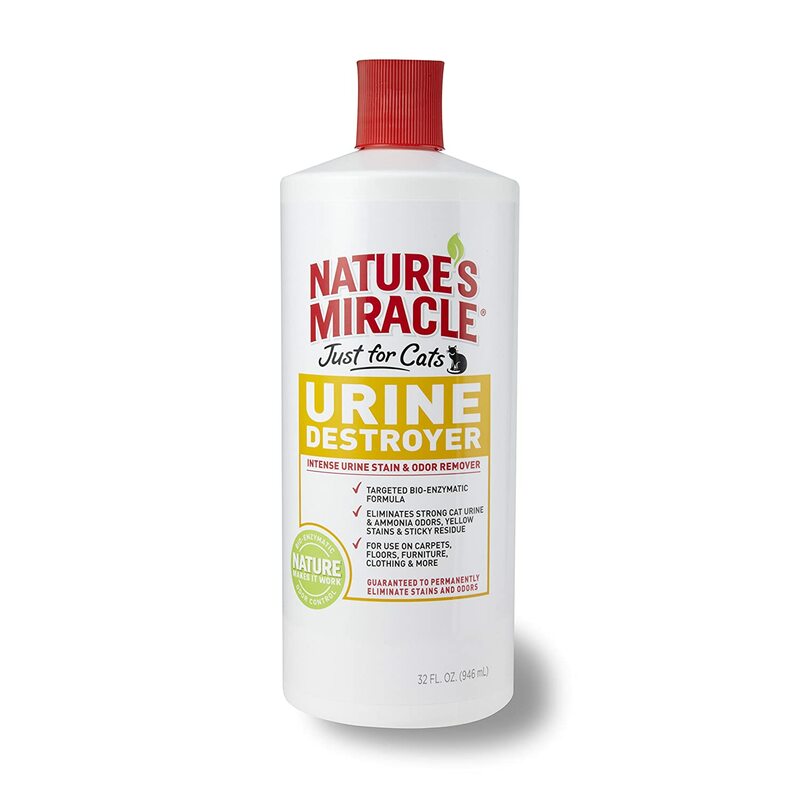 Using just hot water will remove around 70-80% of the urine and odor, when combined with something like Natures Miracle Urine Destroyer it knocks over the rest. If the cat urine on your carpet has had a chance to dry and crystallize a more aggresive approach is required. Start by boiling the kettle and pouring a small amount of hot water on the effected area. Pat Dry and repeat this process twice, keep in mind the effected area is probably twice as big underneath the carpet. The hot water should help to decrystallize the cat urine. Once you have completed the above you need to hit the effected area with a pet odor enzyme cleaner. 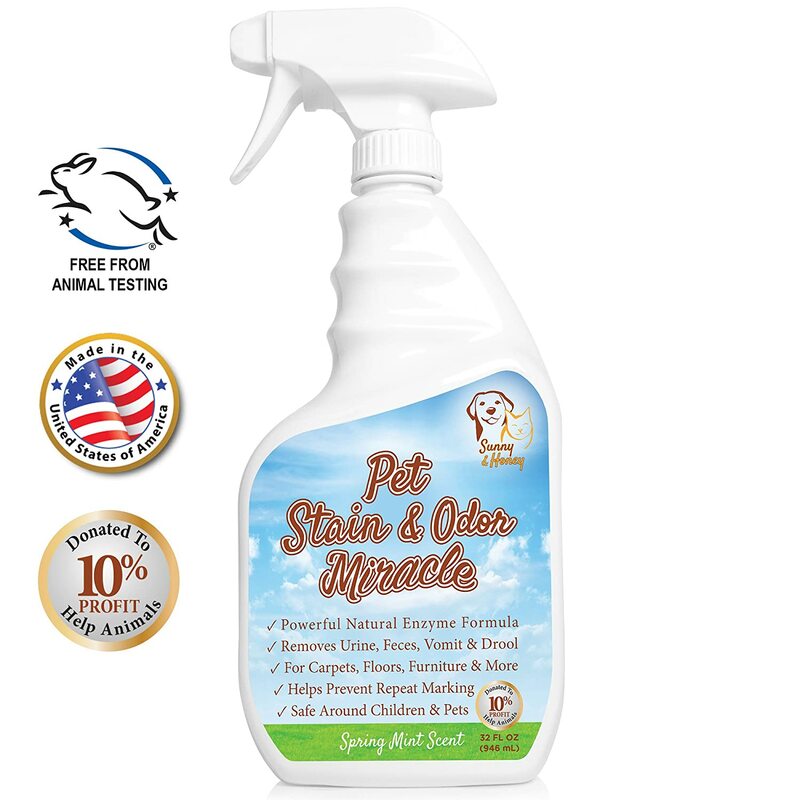 Pet Odor Enzyme cleaners are used by industry professionals so they know what works. Apply The enzyme cleaner to the effected area and allow it to sit for 1 hour. Pat the area down and let it completely dry and voila odor eliminated.